Far from your usual train station, this is one of the USSR’s extravagant architectural projects. 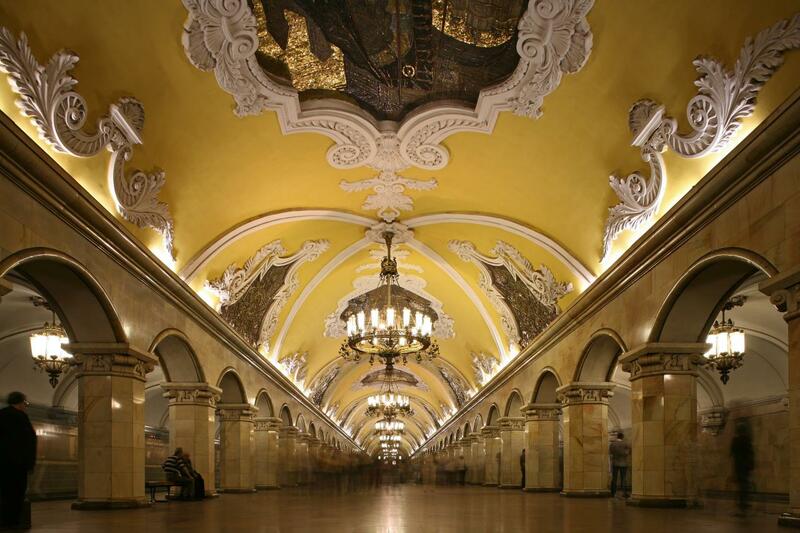 Moscow Metro wasn’t just built for transportation, it’s also an art museum. Now that’s travelling in style. The picture below is inside one of the modern trains. Showcasing art on one side so passengers can appreciate art while travelling.